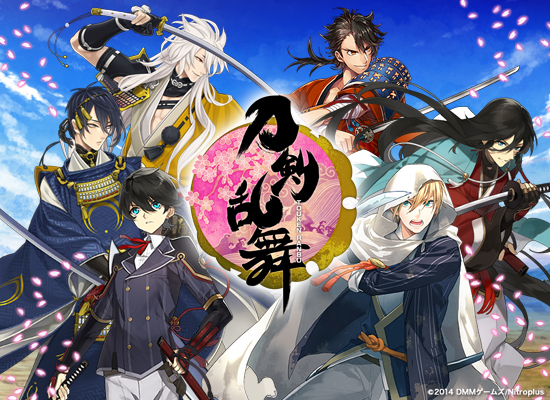 For those who are not aware yet, Touken Ranbu is having an event which allows saniwas to get the two new swords when they reach the total point requirement of 50,000 and successfully clearing the final map. You can find the basic info about the event here. In this post, I’ll be sharing my first day report to serve as a guide for players who will be taking part in this campaign. Remember that all the info that I’ll be sharing here is based from my personal experience and it can be different from the others. Nevertheless, I hope this guide will serve as a great help for you in completing this event. There’s no harm in trying! To be able to sortie into the event maps, all you need to do is to just click on the banner that is located above the default sortie maps. There are three maps which go from Easy to Expert difficulty and in every completed stage, you earn points (Otoshimada). Remember that the higher the difficulty you’re going to sortie in, the more points you’ll earn. I would suggest that you use your high leveled Wakizashis, Tantous, and Uchigatanas for this event. Though the other sword types (especially Iwatooshi) are also useful in this event, they don’t really deal a lot of damage to the higher level monsters in the expert map. But if you like, you can still bring him or the other multi-enemy hitting toudans like Hotarumaru, Taroutachi, Otegine, Ishikirimaru, etc. to at least take away the enemy troops. You must always equip gold troops in this map (don’t worry since both your sword damage and troop damage will not be affected upon your return to the citadel). So for short, your swords and troops will not break. Having gold archers, catapults, and musketeers are very useful too for the first kills. So as of December 30, 2015, I have gathered a total of 450 points. Which means I have like 49550 points to go in order to get the new toudan. Next Musaigen no Phantom World Episode 1 – Those Racks! Thank you for this wonderful guide dear! Now, I will join the event too! Yehey!